Transit ads and bus wraps are a great way to communicate your message to an ever-changing audience. Where do you advertise when you want to reach everybody? Transit advertising--placement of print ads on buses--is an important medium for reaching an audience of all ages, backgrounds and incomes. You are not just addressing riders with these "moving billboards." You are reaching families and professionals in their vehicles, tourists exploring the city, and students shopping or right on campus. • It's a great value. • You can't ignore it. • You can't fast forward through it. • It's instantly effective without wasted circulation. • The large, colorful, original designs demand attention. • It reaches drivers and passengers no matter what radio stations they're listening to. • It delivers a varied, consistent audience. • It offers flexibility of ad size and location. ProGraphix is an approved production vendor for Capital Metro and we are very familiar with their printing specifications. See the chart below for the various ad sizes and placement offered. 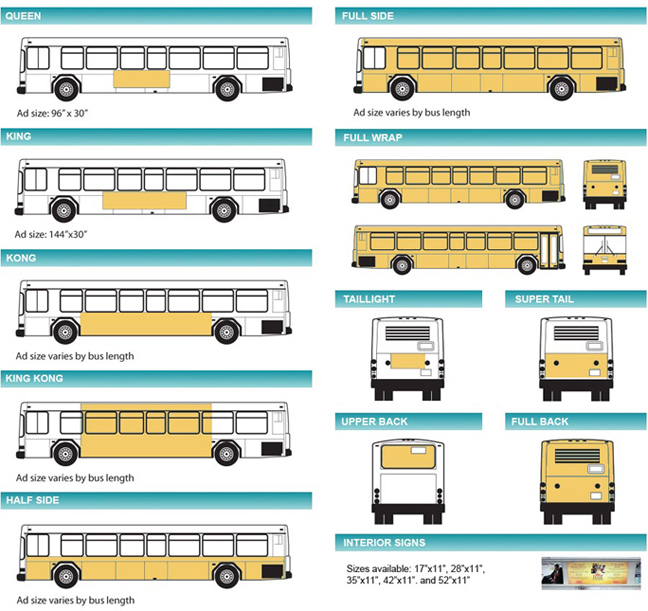 Contact us today for more information on transit ads and bus wraps. 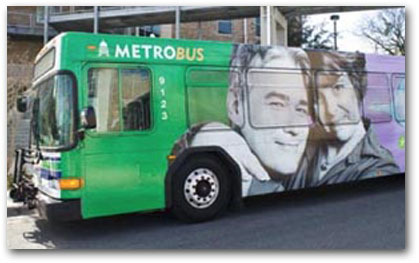 For more information on transit advertising from Capital Metro click here.